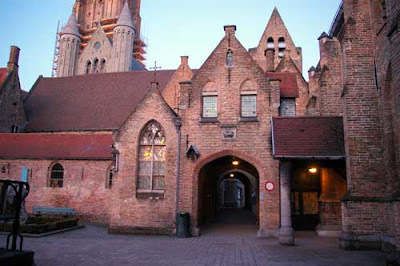 2 weeks ago at the Valentine's weekend we (Etienne and me) went to Brugge. It was a present from me to him. 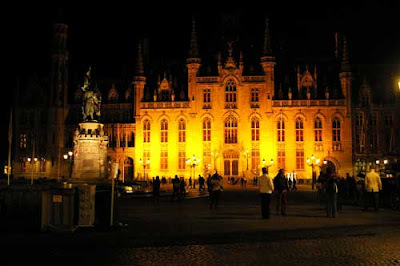 We really enjoyed it is such a nice city (in Belgium), with a historical centre, beautiful buildings. I booked as an hotel in the middle of the centre, ideal. It was really relaxing, no kids (they stayed at my parents). That can be a nice change for a time, we did some siteseeing, shopping, eating out, relaxing. The city is really photogenic, this are some results. 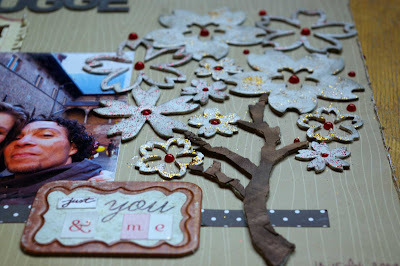 I also used a picture of the 2 of us for the previous OLW challenge (FUN). 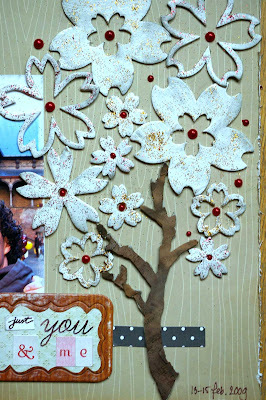 Mostly used the Sudio Calico kit, also some walnut veneer (also SC) which I covered the chipboard tree with. Camiel a week vacation from school, today he and me went that see a movie: Bolt. It was his first time going to the movies, he loved it. And Bolt was fun for me too. Tristan was a bit ill the last week, no fun vomitting and so on. He can walking around the table really good now. He is exploring everything in the house :) Lots of time I have to think back to when Camiel was this ago, so many simular things like grapping the remote controls every time, taking everything from the drawers or cupboards, everytime you open the dishwasher he need to crawl to it to pick something from it. :) This is a fun age, he is learning so many new things. Tomorrow we are visiting friends: Katja and Ramon and their 3 kids Kimani, Minou and Melvi, they live in Velserbroek , really looking forward to that. 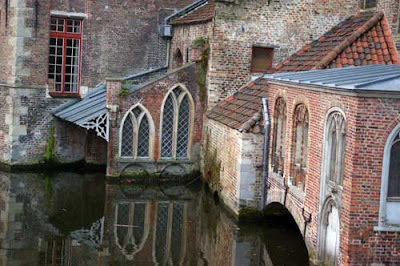 Wow...mooie foto's van Brugge Astrid!Heerlijk een weekendje met z'n tweetjes! 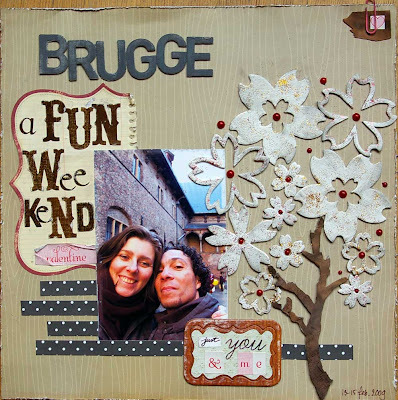 Ik vind je layout prachtig voor OLW "Fun",vooral de boom.Lijkt me een leuke kit.Geweldig hoe je kids opgroeien,super lieve broertjesfoto! Dat klinkt alsof jullie een fijn weekend samen hebben gehad! Heerlijk toch: genieten in een mooie stad! Je lo is super. Hopelijk is Tristan weer helemaal beter. En eh.... ben je ook al aan het aftellen tot de 22e? ooo wat lekker, samen zo'n weekend weg. Mooie foto's! En layouts! Tristan alweer 1: wat vliegt de tijd! En zo leuk om die pinguin weer terug te zien met zijn groei-ontwikkeling. 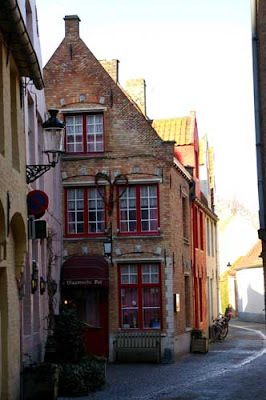 Ik ben ook eens een paar dagen in Brugge geweest, vond het erg leuk! Mooie foto;s en prachtige LO!! Las net of Revlie's blog dat jij er bij bent de 22e (en zie hierboven "Petra" ook...) nou, ik ga jullie ontmoeten! Geen idee wie of wat ik verder nog allemaal tegen zal komen, maar heb er heel veel zin in! Heb nu in ieder geval al een beetje een beeld van jou, leuk! Tot zondag! 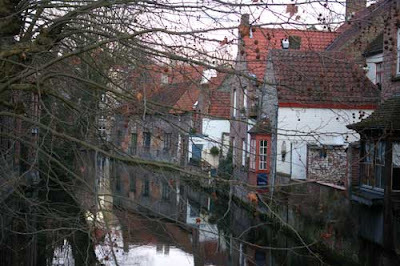 wow, those pictures of Brugge are gorgeous girl!! such a cute picture of your guys!! and that lo with the tree / flowers, is fab!! 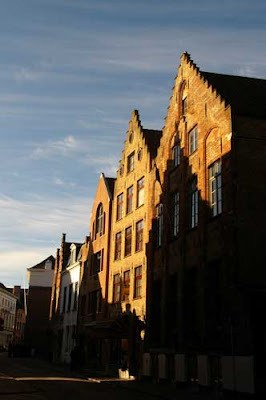 Wat is Brugge fantastisch he!!! Je hebt er mooie foto's gemaakt, gave layout, jammer dat ik je niet bij Scrapalicious heb gezien!